Of most of the countries in South America, Peru has been the prime destination for budget travelers. 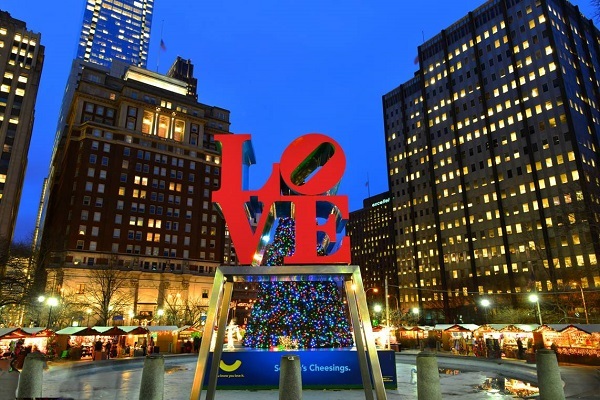 It is a geographically diverse city with a rich culture. 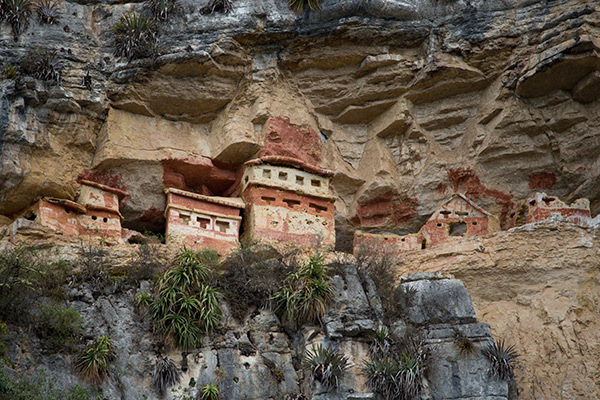 It is most famous for being home to the Inca Trail, but there is a lot more than it. Peru has an eclectic mix of nature and history. It is packed with the archaeological remains and colonial architecture. 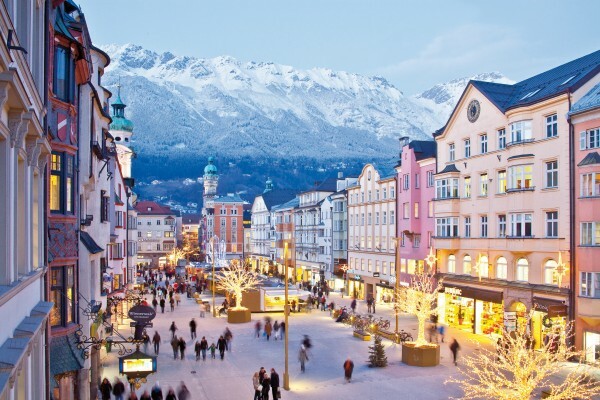 Besides, the place has an excellent nightlife, nice restaurants and amazing shopping destinations. Peru is also a mecca for adventure-loving travelers. The place offers something for everyone. Here are the top ten places to visit in Peru. 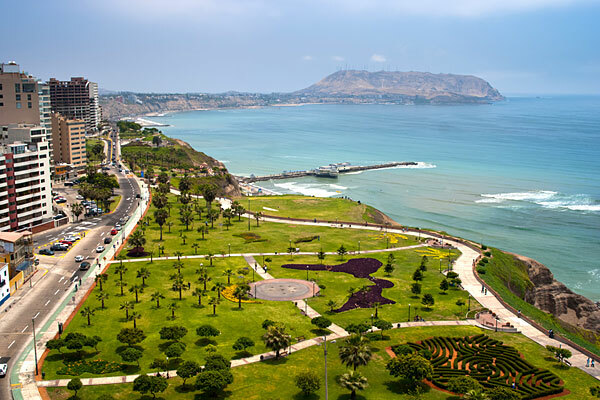 Lima is the capital and the largest city of Peru. Tourists are most likely to begin and end their journey in Lima. Lima is a sprawling metropolis with an architectural blend of colonial, pre-Hispanic and modern infrastructure. The city was founded in 1535 by the Spanish conquistador Francisco Pizarro. It offers exceptional food, lively nightlife and a vibrant culture. The place is famed for having an excellent routine. Though the daytime tour is more popular here, but we will recommend you a five-hour nighttime tour. Make sure you stay at the trendy Miraflores district to experience the best nightlife and shopping. If you have extra time, step into one of the most impressive colonial centers in the world. Lima is also a great place for paragliding. Cuzco is another most popular tourist attraction in Peru. It is located in the southeastern Peru. Cuzco was once the historical capital of the Inca Empire. 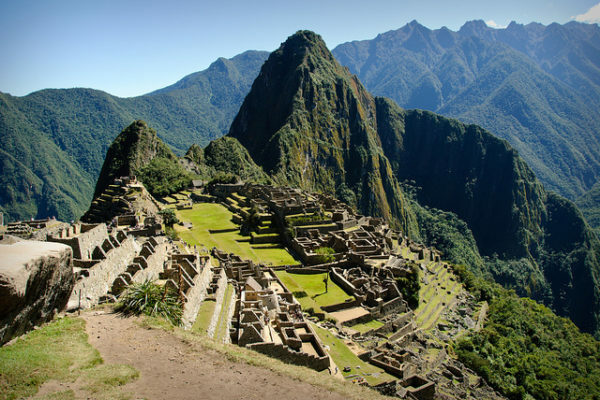 It mainly serves as the base to explore the famous ruins of Machu Picchu and the Sacred Valley of the Incas. 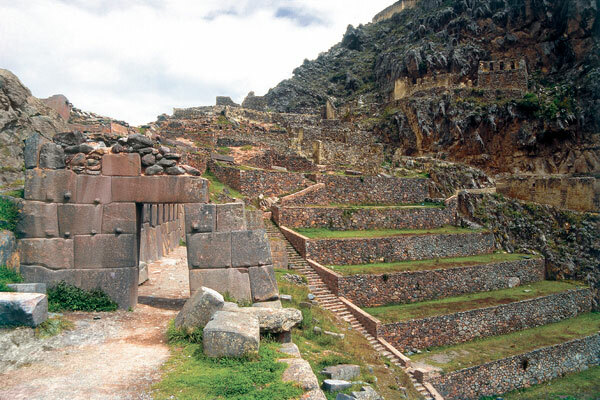 The place contains numerous archeological remains and villages, including the Inca cities of Ollantaytambo and Pisac. The culture and history of the city will enliven your senses as you wander across the city. Hike your way up to the Cristo Blanco for a stunning view of the city. Make sure you visit the Plaza de Armas, an extremely impressive part of the city. The place is also renowned for its great nightlife. Peru is synonymous with Machu Picchu. And that’s because it is incredible. Machu Picchu is the most famous archaeological wonders. It is located 7000 feet above the sea level in the Andes mountains. No matter which trail you take, the view when you get there is breathtaking. It is believed that Machu Picchu was built in the middle of the 15th century as a military fortress. It was later used as an estate for the Inca royalty. Machu Picchu is now considered one of the Seven Wonders Of The World for its unfathomable beauty. Arrive here early morning to witness the sunrise from the sun gate. If possible, try to climb the Huayna Picchu as well. Try to get your tickets in advance. The place is highly popular so you may face restrictions on entry otherwise. The Inca Trail is the second most popular tourist attraction in Peru after Machu Picchu. There can be no place for such a combination of history, mystery and natural beauty. 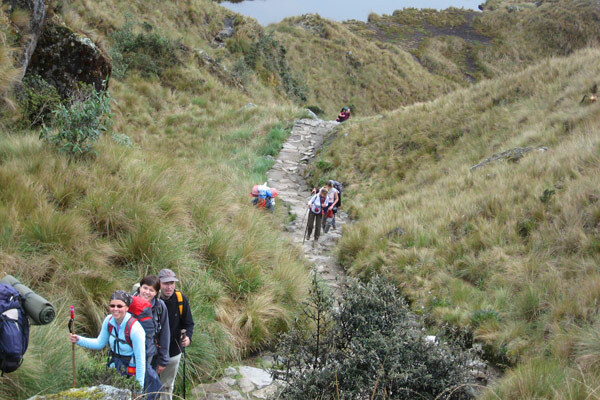 Inca Trail will take you through the hills, valleys and the surrounding scenic landscapes. The place is perfect if you love hiking. The ruins along the way will further heighten your sense of anticipation. A good physical condition is advised before starting the hike. If you are looking for some adventure, then head to the Amazon rainforest at Iquitos. 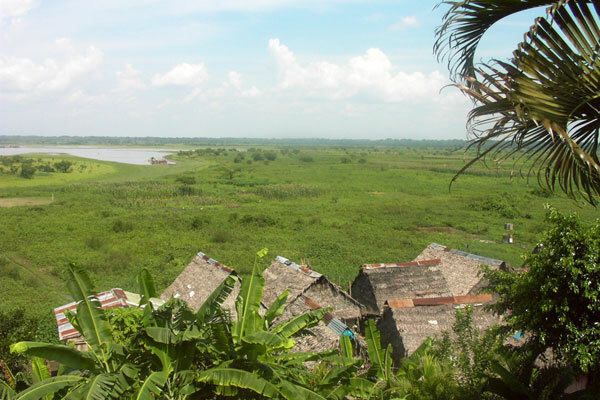 Iquitos is the largest city the rainforest of Peru. It is also the largest city in the world that does not have road access. You can reach here only via plane or boat. Not many people know that the best place to visit the Amazon rainforest is Peru and Ecuador, not Brazil. You will have an experience of a lifetime here. You can spend your stay here looking at the stars, listening to bullfrogs, trekking through the rainforest and meeting the tribes. You stay here will be filled with excitement. Do not forget to carry your mosquito repellent here. Have you even been sandboarding? If not, then you can do that in Peru. It is a popular tourist attraction for adventure seekers. This small village is built around a small lake with sand dunes surrounding it from the sides. The place is worth the visit. The once natural desert is now supported by an artificial water supply, but that does not take away its splendor from any way. Take a dune ride up and down before getting out to sand board. The accommodation and food here is also very reasonable. 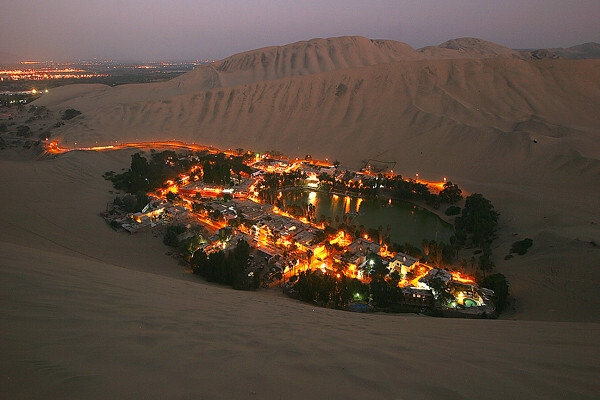 Huacachina is a very easy trip from Lima. You can also visit Nazca and Paracas, the other popular destinations in Peru. Arequipa is the second largest city in Peru. Do not confuse it with the caramel served in some places of South America. The city of Arequipa is exceptionally beautiful. It is surrounded by three picaresque volcanoes in the Southern Costal region of the country. The place embodies a mix of Spanish colonial and indigenous cultures. Visit Santa Catalina Monastery in Arequipa. The colorful walls and winding walkways will surely please you. Arequipa is the access point to the Colca Canyon, the most visited natural attraction of Peru. The place boasts of buildings made from volcanic rock. The Arequipa’s Basilica Cathedral is another iconic sight. 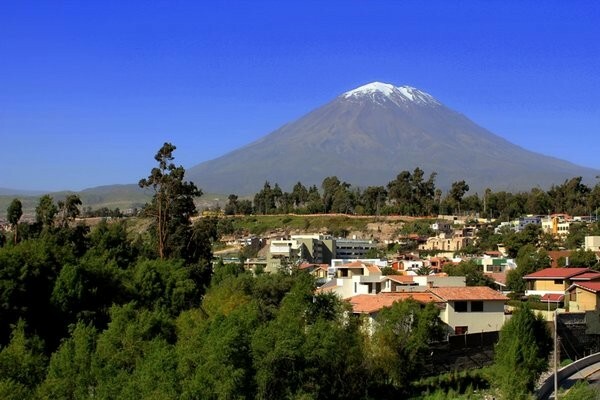 Arequipa is perfect to visit any time of the year. Even if you are not fond of hiking, you must visit Colca Canyon to witness its spectacular beauty. The canyon’s claim to fame is that it is twice as deep as the Grand Canyon in the United States. The region is also home to the rare Andean Condor, an enormous bird with wings spanning 3 meters. From vibrant culture to outdoor activities, you will find everything catering to your taste here. The Cruz del Condor is a viewpoint from where you can witness the grandeur of this astounding place. Who knows you may get the chance to witness the majestic Andean Condors. The Chachapoyas is a beautiful landscape located in Peru’s Selva Alta, the high jungle. The place combines the harsh edges of the mountains with the lush jungles. The place receives just a few visitors, probably because it takes two full days of travel to get there. 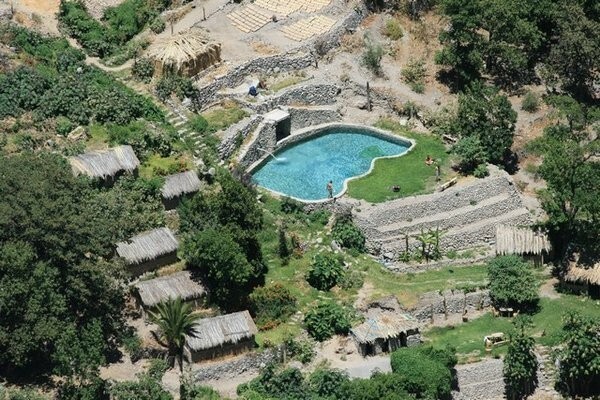 But if you manage to visit here, you will be able to witness the excellent sites like the Pre-Incan ruins perched on top of the jungle-covered mountain. Or you can hike the Gocta Cataracts, one of the tallest standing waterfalls in the world. 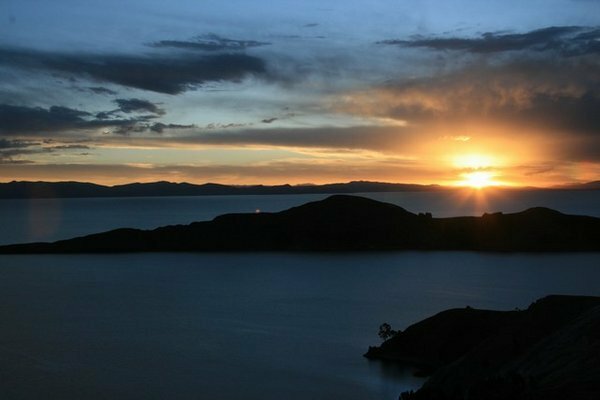 The Lake Titicaca is the highest commercially navigable lake in the world. The place is also famous for its floating reed island. The floating island offers an interesting perspective into the lives of the aboriginal people. The island is the residence of the Uros tribe, the one that pre-dates the Incan civilization. It will initially give you a weird feeling of stepping on an island made entirely of reeds. The best way to get to Lake Titicaca is by taking the bus from Cusco to Puno or by taking a bus from Arequipa. You don’t require making a prior reservation ahead of time. Peru is very popular with the first timers so there are high possibilities for you to come across many backpackers travelling the similar routes. Hope you liked out compilation of the top ten places to visit in Peru. Have you ever visited Peru? How is it like there? Share your experience with us in the comment section.